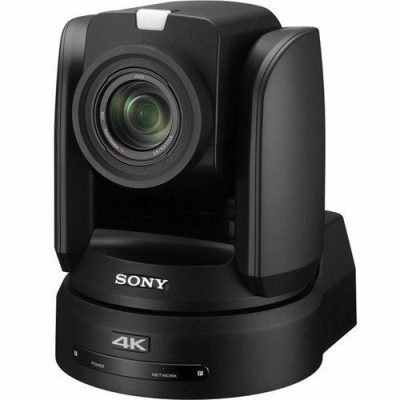 Designed for remote operation, this Sony BRC-X1000 compact but powerful robotic camera is an ideal complement to other broadcast cameras for capturing images in hard-to-reach or unobtrusive positions. It’s equally at home in TV newsrooms, remote studios and on-air suites, auditoriums, houses of worship, courtrooms or sports stadiums. It’s also particularly suited to efficient multi-camera set-ups, under the control of a single operator. The Sony BRC-X1000 1-inch type Exmor R CMOS image sensor captures detail-packed 4K footage at 30p with four times the pixel count of Full HD, and excellent low-light sensitivity. The large image sensor also allows the creation of beautiful ‘bokeh’ effects with a shallow depth of field to suit any artistic intention. Speedy, near-silent PTZ operation with 12x optical zoom accommodates wide-angle scenes and tightly framed close-ups, with Clear Image Zoom 18x (4K), 24x(HD) extending this range even further without visible loss of resolution. Broadcast-friendly features include dual tally lamps for on-air operation, while operational flexibility is enhanced with options for ceiling, table top or tripod mounting. There’s also a broad range of video interfacing and remote control possibilities – plus support for PoE and genlock – for smooth integration into any broadcast, professional or corporate AV environment. Sony BRC-X1000 Accurately re-frame shots or track moving subjects with smooth, speedy, near-silent remote control of pan, tilt and zoom functions. There’s also low-speed zoom and a slow pan/tilt mode for precise, judder-free camera movements. PTZ Trace Memory* allows a sequence of camera movements to be memorised and followed whenever required. PTZ Motion Sync* smoothly blends separate pan, tilt and zoom movements for seamless, professional-looking transitions. 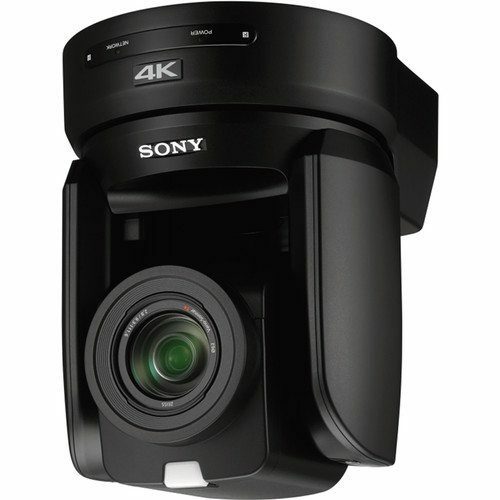 The Sony BRC-X1000 camera’s large, back-illuminated 1-inch type Exmor R CMOS sensor delivers uncompromised broadcast quality colour pictures in detail-packed 4K 30p, with four times the resolution of Full HD. Footage can also be captured in Full HD 60p – ideal for fast-moving sports action. The Sony BRC-X1000 camera can also operate in 24p mode, for video footage with a rich, filmic look. The high quality Zeiss Vario-Sonnar T* lens with 12x optical zoom range covers wide angle shots as well as tight close-ups. 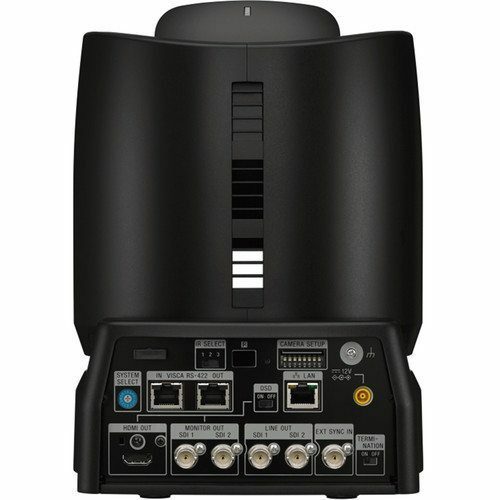 Clear Image Zoom expands this range to 18x (4K) or 24x (HD) without sacrificing detail. 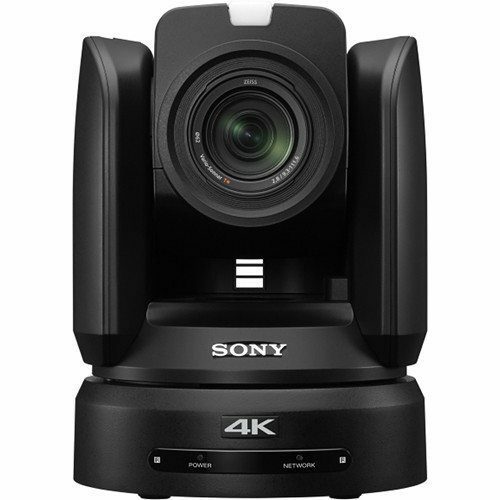 The Sony BRC-X1000 can capture crisp, low noise colour video images in light levels as low as 1.7lx, making it an ideal choice for dimly lit live hall and theater. Integration is simplified in a wide range of environments, with PoE (Power over Ethernet) to reduce cabling requirements and VISCA control over IP. Pan/tilt/zoom and other camera settings can be controlled using the supplied IR remote commander, or with the optional RM-IP10 Remote Control Unit that can control multiple cameras. Genlock simplifies integration with other systems in multi-camera broadcast environments. Enjoy greater installation flexibility in professional broadcast and AV environments with dual link 3G-SDI (x4) and HDMI video outputs. Ideal for on-air broadcast use, the Sony BRC-X1000 features dual tally lamps on the front and rear of the camera body. Brightness of the front tally lamp can be adjusted in two steps. New camera functionality and performance improvements can be added via firmware updates over IP.